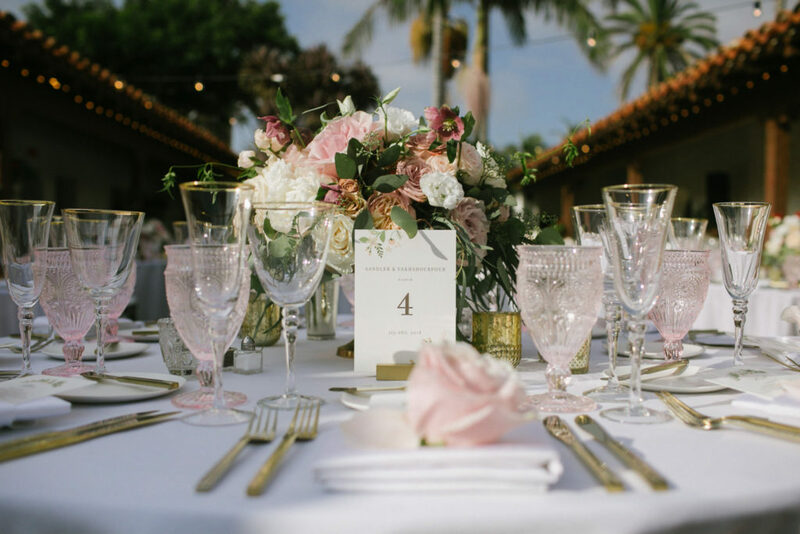 What a romantic day at Casa Romantica for a wedding by the ocean. 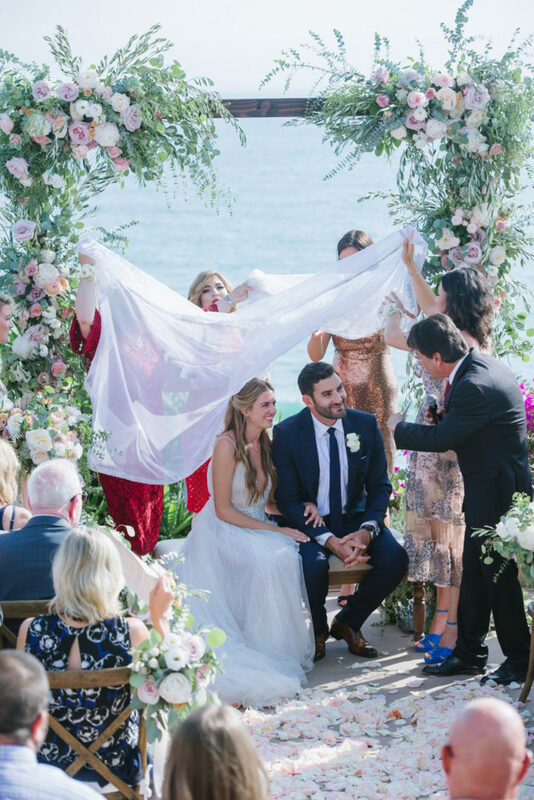 Christina and Amir had a blushing wedding in San Clemente, California. 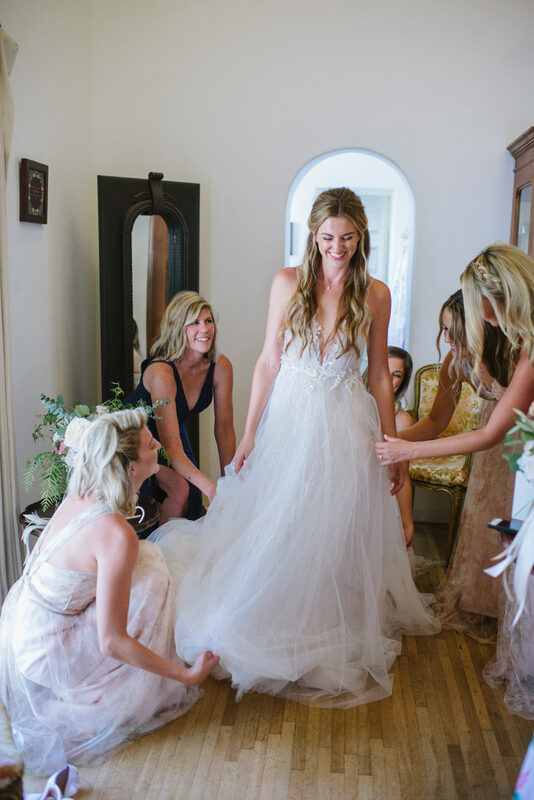 Stepping out in her stunning tulle dress, Christina wore her golden locks pulled with the bottom half running down her open-backed dress. Matching her radiant smile, the bride carried a bouquet of white and blush roses and made her way down the petal-filled aisle. 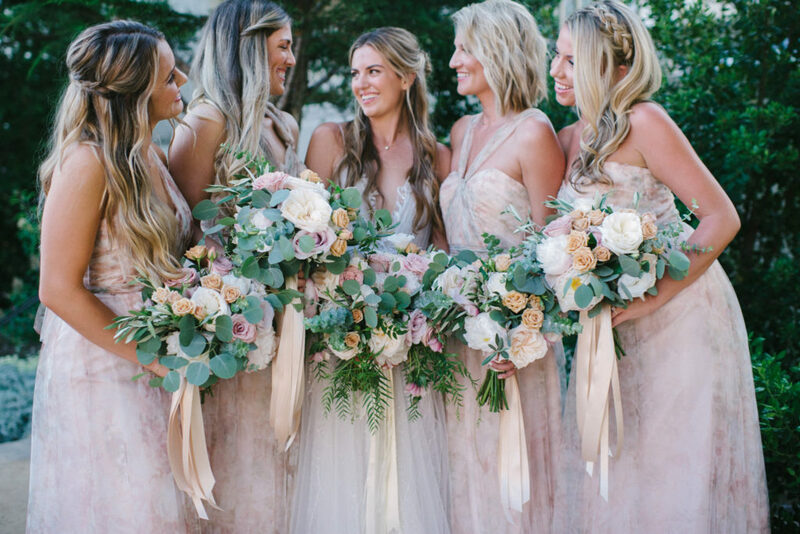 Not far behind, each bridesmaid wore a blush tulle dress with matching bouquets and curled hairstyles. Facing the crowd, her soon to be groom stood in front of the Pacific Ocean with a black suit and tie and a smile to finish off his look. 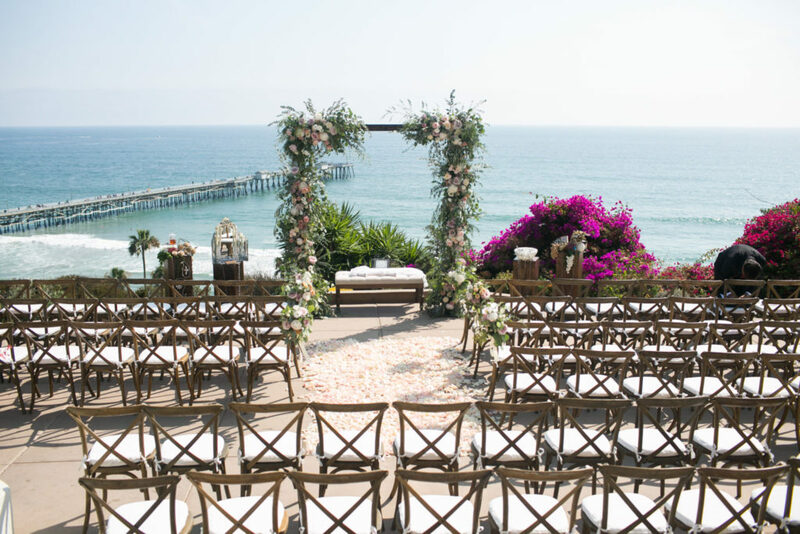 The altar where they would say their “I Do’s” was built with a sea-wood like frame and sweet colored roses. 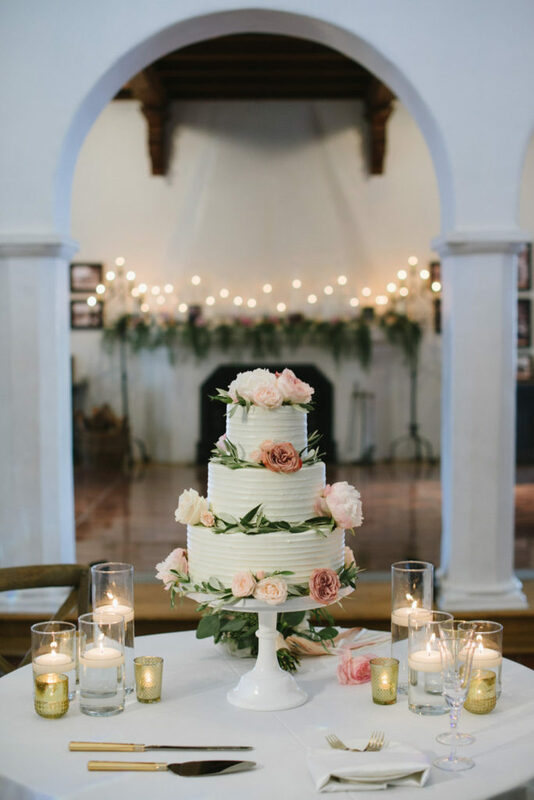 Beautiful greens ran down the wood and served the perfect base to the roses to tie the entire adornment together. 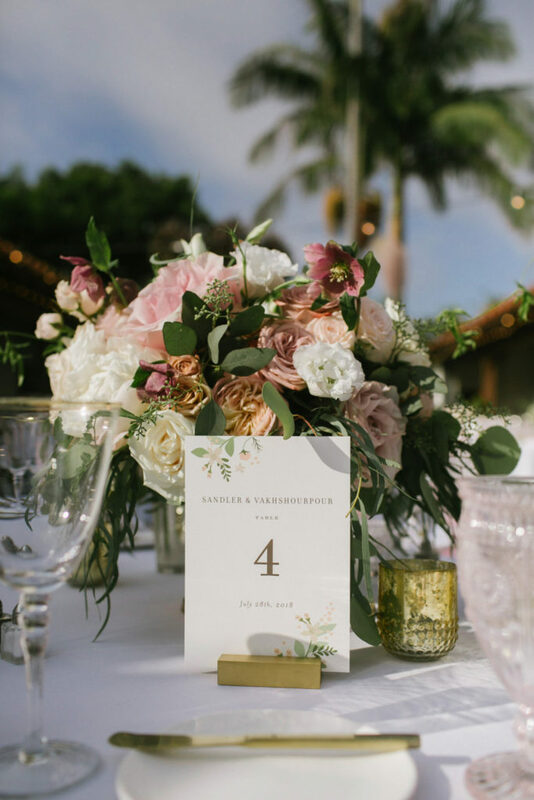 Their light decor dressed the venue to a sweet number with the blushing roses and palm tree backdrop. 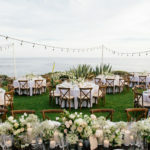 Walking in, guests were left in awe with the strung lights that decorated the courtyard. 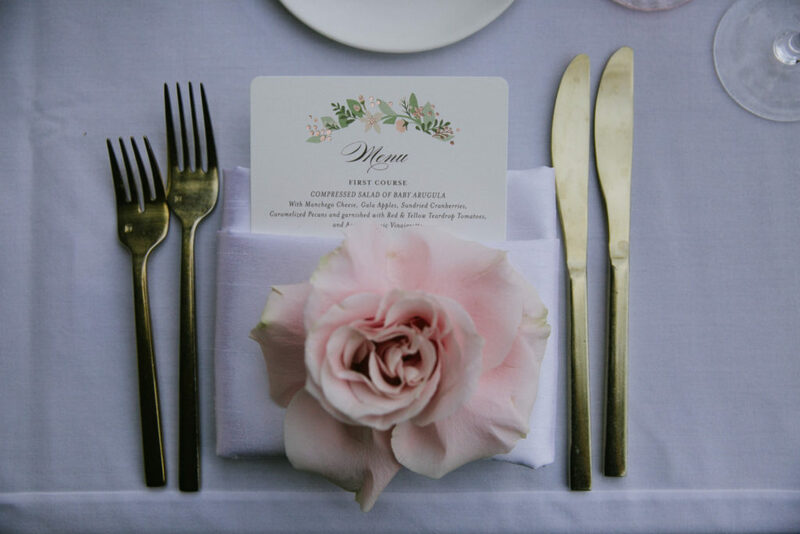 Each napkin sat at each guests’ seat with a large rose. 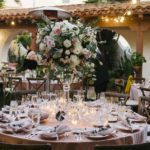 The table of honor was distinguished with a larger arrangement of roses mirroring the roses used to embellish the altar.